for this week on purpose so that I may share it here @ the Crafty Card Gallery. 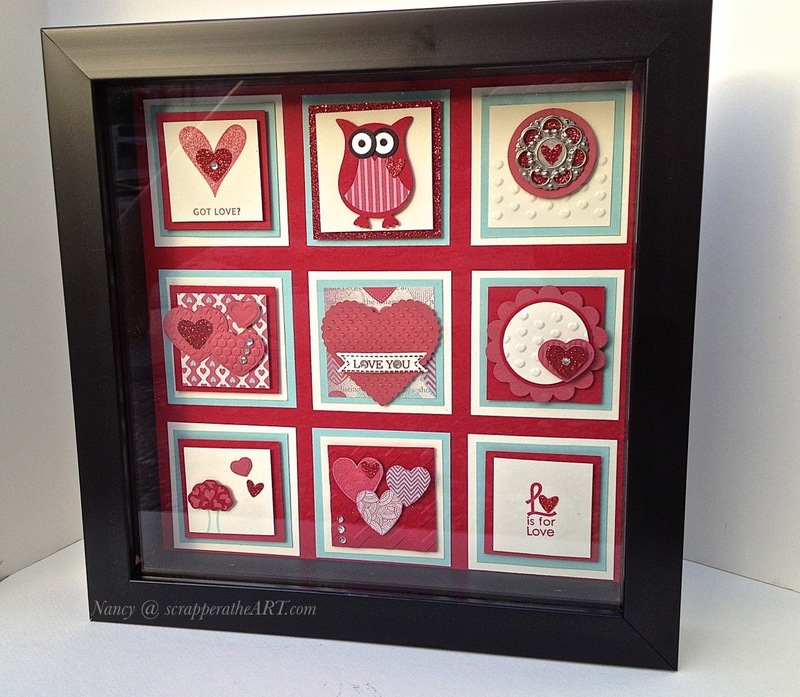 I can not take credit for the idea behind this Valentine Shadow box. That goes to Debbie Moczek my Fabulous Stampin Up Consultant. The only thing I can take credit for is the work and the arrangement of the squares. Although, I did make a few of my squares different then the original design. Sorry for the glare on the photo! This was sooooo much fun to put together and she made it so easy too! but, I thought it would look really nice in there! 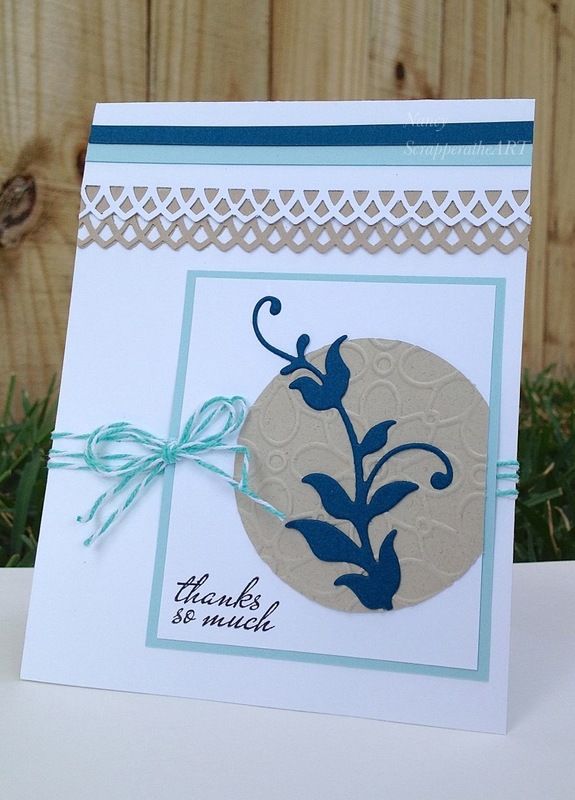 All products used were Stampin Up! If you have any questions at all…don’t hesitate to ask! glad you stopped by today. I really enjoy incorporating banners into my creations. If you have never tried it they are really fun to do. What I like about banners is that they are so versatile. of the card like I have done here. Here are some of the Card details! Thanks for paying us a visit today here at Crafty Card Gallery. I have in store for you! Is it a card …or something else? I trust you had a good weekend? Mine was just perfect…a little of this and a little of that…just the way I like it! I had time yesterday to play in the studio and this is one of my creations. your going to have to just trust me on this one. They are teal! here at Crafty Card Gallery. I am very excited to be sharing my creations with you! I so enjoyed putting this card together on Saturday! You can never have to many Thank you cards laying around! and drop me a line! Hope you stay tuned this week for more of my work! Easter basket stick decorations I used paper piecing from my son’s coloring book! Loved making this shaker card! Also, had a lot of fun using a Wobble behind my sentiment!